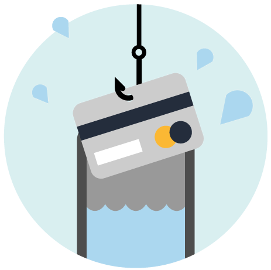 Phishing is an online scam where the cybercriminal impersonates a trustworthy entity in order to obtain the victim’s sensitive data. Have you ever received an email or electronic communication – seemingly coming from a bank or other trustworthy source – that requested you “confirm” your account credentials or other sensitive information? If so, you already know one of the most common definitions of phishing. The concept was first described in a 1987 conference paper by Jerry Felix and Chris Hauck called “System Security: A Hacker’s Perspective” (1987 Interex Proceedings 1:6). It discussed the technique of an attacker imitating a reputable entity or service. The word itself is a homophone of “fishing” for targets – as it uses the same “bait-catch” logic. The “ph-” at the beginning is a reference to “phreaks”, a group of hackers who experimented with, and illegally explored the borders of, telecommunication systems in the 1990s. 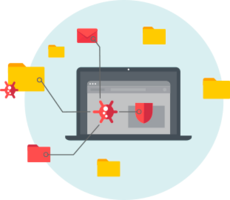 Phishing has been around for years and in that time, attackers have developed a wide array of methods to target victims. The most common phishing technique is to impersonate a bank or financial institution via email, to lure the victim either into completing a fake form in - or attached to - the email message, or to visit a webpage requesting entry of account details or login credentials. In the past, misspelled or misleading domain names were often used for this purpose. 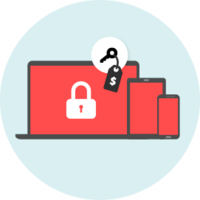 Today, attackers incorporate more sophisticated methods, making the links and fake pages closely resemble their legitimate counterparts. Information stolen from the victims is usually misused to empty their bank accounts or is sold online. Similar attacks can also be performed via phone calls (vishing) as well as SMS messages (smishing). 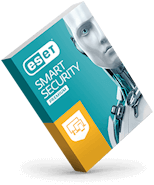 A more advanced phishing method whereby seemingly authentic phishing messages land in the inboxes of specific groups, organizations or even individuals. Authors of spearphishing emails perform detailed research on their target(s) in advance, making it difficult to identify the content as fraudulent. Attacks focused on specific, mostly high-profile business individuals – such as top managers or owners – are labeled as “whaling”, due to the size of the potential pay-off (the bad guys going after “the big fish”). 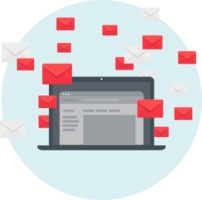 An email or electronic message can contain official logos or other signs of a reputable organization and still come from phishers. Below are a few hints that can help you spot a phishing message. Suspicious domain – Would a US or German bank really send an email from a Chinese domain? To avoid a phishing bait, be aware of the above indicators by which phishing messages commonly give themselves away. You can learn more about phishing here and here. 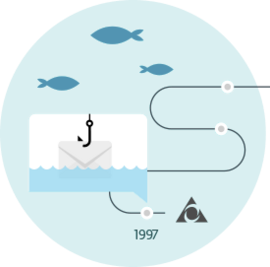 Systematic phishing started in the America Online (AOL) network in 1995. To steal legitimate account credentials, attackers contacted victims via AOL Instant Messenger (AIM), often pretending to be AOL employees verifying user passwords. The term “phishing” popped up on a Usenet newsgroup that focused on a tool called AOHell that automated this method, and the name stuck. After AOL introduced countermeasures in 1997, the attackers realized they could use the same technique in other parts of the online realm – and moved towards impersonating financial institutions. One of the first large, albeit failed, attempts occurred in 2001, taking advantage of the chaos of the 9/11 terror attacks. Phishers sent out emails asking some of the victims for an ID check, trying to misuse the obtained data to steal financial details from the digital currency service e-gold. It took only three more years for phishing to gain a firm foothold in the online world and by 2005 it already had cost US users over US$900 million. According to the APWG Global Phishing Survey, over 250,000 unique phishing attacks were observed in 2016, using a record number of maliciously-registered domain names – surpassing the 95,000 mark. In recent years, phishers have tended to focus on banking, financial and money services, e-commerce customers and social network and email credentials.